If you are a considering buying a newly-constructed home you should be aware that this is much different than buying an existing home and there are things you should know BEFORE you buy! This report will help you avoid the pitfalls some new home buyers make as well as help assure that your new home experience is a good one! To get the most out of this, you are going to want to read it all the way through as I have saved most of the "good things" about buying new for the end. There's a price to pay for a new home. Buying a new home, as opposed to an existing home, is generally more expensive. Why? Because if you are buying a new home, assuming it is not a distressed sale of some sort, you are going to have to pay at least 100% of the cost to acquire the lot and build the home. Plus, unless the builder does not wish to remain in the business, you will need to pay an amount that not only covers the cost to build but also covers builder's overhead related to that home and a profit to the builder. If you are buying an existing home, you are going to pay what the market will bear, or what you can negotiate. In many cases, the price you pay for an existing home will be less than the cost to replace the home. There's a time and emotional investment too, are you prepared? There is another "non-financial" investment you will have to invest in a new home and that is a time investment as well as an emotional investment. 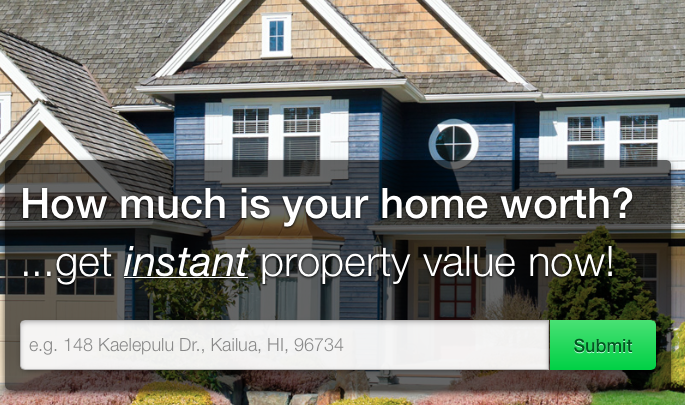 The time investment will vary depending on what type of new home you are buying. If you are buying a "spec" home (a home the builder built on speculation with the expectation of selling it after it is complete) then, from a time standpoint, it won't be a much different experience than buying an existing home. If you are buying a "semi-custom" home (a design offered by the builder that you are allowed to do some customization to as well as choose all finishes) then you are going to need to make yourself available to choose finishes, cabinetry, tops, floor coverings, light fixtures, plumbing fixtures, wall colors, etc. If you choose to build a custom home (designed and built specifically for you) then you must be prepared for a large time investment. You will need to spend time talking with the architect, designer and builder to assure that the house design is what you are looking for and within your budget. Then, like a semi-custom home, you will need to invest the time to make all the material and finish selections. So, what is this "emotional investment" I mentioned? Believe me, after many years as a developer and builder, I can assure you that building a home is VERY emotional for the buyer. When the buyer enters into the process informed and prepared and makes good choices along the way, the experience emotionally is wonderful and fun! When the buyer is not properly prepared, or makes bad choices, the experience can become an anguishing nightmare. Often new home buyers operate under the misconception that they don't need to be represented by a real estate agent or broker, that the builder will not allow it, or that the house will cost them more if they are represented. Considering a home purchase is, for many buyers, the largest single investment they will make, it just doesn't make sense for you to do this without being represented by a competent professional with a legal obligation to work in your best interest...especially when you don't have to pay that professional for the service! Not to mention. Granted, making good choices on the builder you buy from will help minimize the headaches and risk but this is all the more reason you need a good buyers agent with extensive new home experience! A good, new home buyers agent, will make sure you have all the information and resources available you need to make an informed decision when it comes to selecting a builder, subdivision, etc. The reason you don't have to pay for a buyers agent to represent you (generally, there are exceptions to everything)is the same reason you don't have to pay to be represented by a buyer's agent on an existing home...the seller offers a commission to get their home sold. Ah, now the light bulb goes off and you think, if I am not represented, thereby saving the builder that portion of the commission, I'll get a better deal! While it is impossible for me to speak as to how every builder operates, I can tell you that today, most builders, particularly the larger, more established ones, are aware of the need to work with buyers agents, value their relationships with agents and have worked hard to encourage buyers agents to show their homes. In addition, many builders list their homes with real estate agents so that they will be listed in the MLS and are therefore committing to offering compensation to a selling agent. If they don't pay the selling agent, depending on the listing agreement, it may not be any savings at all to the builder, but instead just more compensation to the listing agent representing the builder. Even if there is a savings to the builder and the builder would decide to pass some of the savings along to the buyer, I can say with confidence, that a good buyers agent will most likely save you more during the course of the transaction than that little amount. One of the biggest mistakes I've seen new home buyers make over the years is wanting too much and stretching themselves too far. What I mean by this is often buyers will want to get the biggest house possible and focus on the maximum square footage they can get within their budget without giving enough consideration to how much options and finishes will increase the final price. When buyers stretch too far at the outset, the whole transaction becomes very emotional and stressful. Every time an additional cost is incurred as a result of trying to get what the buyer wants, the stress increases...when prices come back for the floors, cabinets and other finishes selected and the total price keeps growing, the situation go from bad to worse. I have seen several situations like this that literally almost resulted in a divorce before we could finish the house. A much better approach is to be conservative and shop homes based upon a realistic "final" price taking into consideration the options and finishes you are going to want. Once again, this is where a good buyers agent and a good builder will be an invaluable combination and both will help steer you down the right path. Also, don't forget, that with new homes, you will have a lot of additional expenses with the home you may not have had previously with existing homes purchased...such as, landscaping, irrigation systems, mailboxes, window hardware, window treatments, etc. Another mistake I've seen made by new home buyers is to get so focused on shopping price, particularly price per square foot, that they end up in a bad builder relationship or in a community that really wasn't what they were looking for. My suggestion would be to shop for a new home much like you would for an existing one, at least to start with. Begin by selecting the area, or areas, you would like to live in and will serve your needs, whether it be proximity to work, activities, schools or what have you. Then, once you have your areas pinned down, see what builders are building homes in those areas that are within the price range you are looking. Then, with the assistance of information provided to you by your buyers agent, you can begin the process of selecting a builder that you feel would be a good fit, or at a minimum, eliminate the ones that would not be a good fit. Then start shopping houses and remember that there is much more to price than just a square foot price. I can't tell you how many times the first question asked me from a prospective new home buyer was how much per foot was it going to cost? This is fine as long as you don't care about the quality of the space, the functionality of the space or the finishes but the fact is you do care about all that other stuff. I have seen a very well thought out and designed 2,500 square foot home that was much more functional, felt more open and larger than many 3,000 square foot homes. Again, it's quality, not quantity. I could write a book on this topic alone, but here is the short version. Many of the builders that are in business today survived the downturn of the market that took out many home builders so that in itself says something for them. Once you have selected and area and narrowed down your builder choices, I would drive the community, or communities they are building in and see how everything looks. An advantage to the downturn is many of the developments out there today were begun years ago which means the streets, sidewalks, amenities, etc as well as some of the earlier homes are perhaps up to a few years old. This will give you an idea of how well the work was done and how well things are holding up. The next step would be to get a client list from the builder (something your agent can do for you). Oh, and not just the "happy client list" but preferably the complete list of everyone that has bought a new home from the builder. If your agent cannot obtain this list, or gets an incomplete list, he or she should be able to obtain information on the builders buyers from the tax records and other resources available. The next step would be to contact several of the buyers, preferably in that particular development and at least some from a year or two ago, to see how they feel about the builder, their home and the community. Finally, assuming everything is ok up to this point with your builder research, I would ask my agent to schedule a meeting with the builder and/or key personnel that will be involved in the home building process. You don't need a long meeting, just long enough to ask what questions you may have and give you an opportunity to size up the person and see if your personalities mesh well and he or she is someone you are going to enjoy working with. Sale contract - Many builders have their own contract forms they wish to use. If you are doing a custom built home, or even a semi-custom built home you may not be able to avoid this as a standardized contract form (such as the REALTOR form)may not be appropriate. If this is the case, I would highly recommend you have a real estate attorney review the contract before signing it. If you are buying a spec home, then the REALTOR contract form may very well be the way to go. One thing to consider for sure if using a builder contract is to incorporate into it building inspection contingency language similar to what is in the standard Residential Contract used by the St Louis Association of REALTORS members. Building Inspection - Perhaps the most important piece of advice contained here is that you should definitely obtain a private building inspection on the new home you are purchasing. It amazes me how many buyers and even real estate agents that seem to think since the house is new there is no reason for the inspection. In my opinion, that couldn't be farther from the truth! In fact, I believe a building inspection is more important on a new home than even an existing home. To fully explain why would take up a lot of space, however, some of the issues that often surface on inspections include: roof issues, such as lack of roof felt, or ice and water shield, lack of house wrap, improperly installed siding, poorly planned sump pump drain discharges, sewer line issues (partially filled with concrete, debris or even partially collapsed), back fill issues, foundation cracks, and more. Mediation - many builder contracts include mediation clauses. Many people like the sound of this as courts and attorney's sound expensive and intimidating. Guess what? Mediation usually involves attorney's and is expensive and intimidating too. I personally would rather resolve any issues I have in court over a mediation or arbitration but this is something to visit with your real estate attorney. My point is to make sure you well understand what you are agreeing to. Disbursing - Again, I could write a book on this topic alone, but if you are building a custom home that your are going to fund up front, or along the way, you are going to want to be sure that a competent, independent disbursing company is used and that your funds are fully insured through the title company. If you are buying a spec home, or semi-custom home where, other than a normal earnest deposit, you are not putting up any money until you close on the purchase, then you are probably ok just treating it like a normal home purchase. 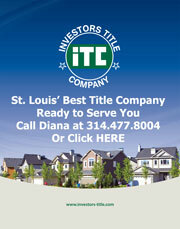 Title Insurance - This is one of the more important aspects of this transaction. The title insurance company is the company that insures you against any title issues you may have including liens that may be levied as a result of the builder's failure to pay for work done. You want to make sure your title policy is selected by you and that you give the same care and attention to the title company selection that you gave to builder selection. You want to make sure your title insurance policy includes full mechanic's lien coverage and full survey coverage as well. The builder may strongly push for you to use the title company they select, however this is a bad idea. In many cases the builder has an ownership or financial interest in the title company (which is generally disclosed) or, at a minimum, a strong business relationship with a particular tile company, either of which may cause a title company to "insure over" a problem or defect on the title. Some would argue, why worry if you have title insurance, what do you care? The thing to remember is, just because the builders recommended title insurance company agreed to "insure over" some issue to facilitate the closing for the builder, that another title insurance company, or even the same one, be willing to insure over the same problem for the new buyer when you go to sell. Stake survey - Make sure you get a full boundary, stake survey and there are not any encroachments. Many builders try to get you to accept the survey from their surveyor however, I would opt to obtain a survey from a different survey company. Errors or inconsistencies are more likely to be discovered by a company that is not the company that made the mistake to begin with perhaps. Review the subdivision indentures and restrictions prior to signing a contract, or make your contract contingent upon a review of these. Some subdivisions have restrictions that are just crazy...you may not be able to paint a shed in your back yard without approval of the color, you may not be permitted to have a fence, pets may be restricted, the parking of cars, campers, trucks may be restricted, etc. You may love all the rules or you may find you wouldn't want to live with them. Find out up front, not after you move in. Choose the right lender - Don't just shop rate! With the help of your buyers agent, talk with local lenders that have extensive new home experience with good loan programs for the new home buyer. This is a much different purchase than an existing home and you will need the ability to lock in your rate longer as well as have a loan commitment that is good for an extended period of time. I'm Dennis Norman, one of the broker-owner's at MORE, REALTORS. I have lived in St Louis all my life and have been in the real estate business ever since graduating high school in 1979. My background includes investment, buying and selling over 2,000 homes as well as development, building and developing over $50 million worth of new homes, condos and town homes in St. Louis. ©2019 MORE, REALTORS All Rights Reserved. Crossings At Big Bend Bldg. States J M Resub Bldg. New England Village Condo 1 Bldg.